Alert Bay may only have a population of 1,200-1,500, but there's always something on the go. Exciting annual events include June Sports on Father's Day weekend in June. T'sasala Cultural Group Dance Performance in 'Namgis Traditional Big House Thursdays, Friday, Saturdays July to 3rd weekend in August. Bay Days, Artfest and Salmon Run 4th weekend in July, U'mista Summer Programs: Cedar Bark Weaving, Kwakwala, Art work, Kwakwala July to August. Cultural Experiences: Cedar Bark Weaving, Nusa Story Telling, traditional Salmon BBQ Thursdays, Friday, Saturday, July to 3rd weekend in August. Alert Bay 360, Kayak Race, on the August BC Day weekend. Alert Bay is on Cormorant Island which is 4.9 km long, and 0.8 km wide at its narrowest point. The 'Namgis First Nation has the largest population on the island, with 450-500 people. The Village of Alert Bay has a population of 450-500 people, and the remainder of the island's population the Whe-la-la-u Area Council, which represents seven of our Kwakwaka'wakw Tribes approximately 250 people and the Regional District of Mount Waddington 35 people. There are two elementary schools, the Alert Bay School (SD85) and the T'lisalagi'lakw School (Independent). Grade 8-12 students take a foot ferry across to North Island Secondary School (SD85) in Port McNeill. We also have the Cormorant Island Learning Centre, branch of North Island College and visiting instructors, a joint Education Department between the Village of Alert Bay and the 'Namgis First Nation under the Alert Bay Accord. Some Residents take the ferry across to Vancouver Island for work, while many work for the 'Namgis First Nation, BC Ferries, and local businesses. Our little island is compact and you can easily walk or bike your way around. However, it is hilly. Unless you’re a determined walker, we recommend that you bring your vehicle with you on the 40-minute ferry from Port McNeill. As you can see on our Ferry Schedule page, there are six sailings a day, about every 2.5 hours. There are several ways to get to Alert Bay: BC Ferries, 2900 foot airstrip, as well as a full service Boat Harbour where you can tie up, shower and spend the night. The closest airport with regularly scheduled flights is Port Hardy, 25 minutes north of Port McNeill. Check our Current Conditions page for airstrip cameras, tide tables and the weather forecast. The first stop for many visitors is the Visitor Centre, a couple hundred metres to the right (southeast) when you disembark the ferry. Our friendly Visitor Centre staff can help plan your day and can offer the most recent tourism information and brochures. The Visitor Centre 118 Fir Street and the Alert Bay Library-Museum 116 Fir Street. Library-Museum has photos and artifacts from the region's pioneer years. What most Visitor's come to Alert Bay for is the U'mista Cultural Centre which houses our Native Masks and Artifacts. The Visitor Centre is close to the Original 'Namgis burial grounds, where Totem Poles in Memory of those who have passed away. Another Totem Pole you'll want to take in is the World's Tallest Totem Pole, north along Fir Street/Front Street, and up the hill next to the 'Namgis Traditional Big House. There are several Totem Poles spread throughout the Island. See the Alert Bay Visitor Centre for a Totem Poles Brochure. 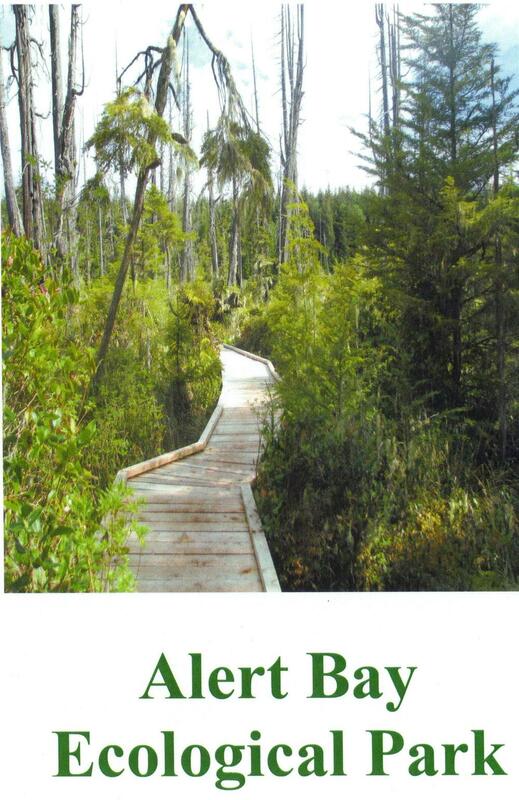 There is a boardwalk that connects downtown Alert Bay to the U'mista Cultural Centre, and the island has 16km of walking/biking/hiking trails. Many will take you past the Alert Bay Ecological Park, where a boardwalk gives you and your camera (or easel) a comfortable place to stop a while. You'll see myriad birds and wild cranberries in a bog-like environment. Keep your eyes peeled for Culturally Modified Trees, cedars from which bark has been traditionally stripped for use in clothing, fish nets, basketry, and rope. On a side trail off the boardwalk is a cedar from which thick, wide, two-metre long planks have been split. Amenities include restaurants, ATMs, drugstore, taxi service, a grocery store with a deli and Rona, Gas station, a library with public computers, various accommodations that range from RV sites, Inns, to B&Bs, cabins. We also have plenty of activities that could keep you busy for days, including cultural tours, whale watching, the world-famous U'mista Cultural Centre, First Nations dancing at the 'Namgis Big House and several art galleries. Check out our Attractions & Services page for contact information for our amenities and attractions! You're setting foot in a place that is becoming a global centre of First Nation culture. Archaeologists say that you can determine the wealth of a culture by the amount of art it produces and by that measure, Cormorant Island is incredibly wealthy. Besides what you see as you walk through town, the local First Nation artists produce art that is highly valued around the world. Many of the 'Namgis civic buildings also incorporate bold elements of traditional coastal buildings, including the use of huge cedar trees in the architecture, such as in the 'Namgis Big House. You can take in the T'sasala Cultural Group traditional dance performance in the Big House Thursdays, Fridays and Saturdays July to third week in August. The U’mista Cultural Centre, with its collection of priceless Kwakwaka'wakw potlatch regalia, is also a must-see. U’mista’s Potlatch Collection tells an epic story of resistance and resilience. The Centre opened in 1980 to house repatriated Kwakwaka'wakw ceremonial regalia that had been seized by government authorities in 1922. One of the most complete and important collections of its type in the world, U’mista’s Potlatch Collection is a source of great joy and pride for the Kwakwaka’wakw. The spectacular wildlife that can be seen in the sea and along the shorelines here often amazes visitors from inland. “Spectacular” can refer to the vast numbers of herring, salmon and White-Sided Dolphins that swim by, or to the size of the whales that follow the migrating salmon every summer. Sea lions and seals can also be seen cruising by. There are plenty of orcas, or "killer whales," but In recent years humpback, Minke and Grey whales have also returned. The Humpback are a whale-watcher’s dream. The adults grow 40-50 feet long (12-16m), and their tails may be 20 ft (6 m) wide. The Humpback are the most acrobatic of the big whales, rolling and smacking the water repeatedly with their 16-foot (5m) flippers. Now and then a big male, probably trying to impress a nearby female, will hurl his 40-tonne bulk clear out of the water and come crashing down on his back. It goes without saying that the sport fishing can be equally awesome. All five species of salmon can be found locally, including the “springs” that often tip the scales at over 14 kg (30 lb), twice that if you’re lucky. Halibut are also a prize catch, ranging from “chickens” at around 15 kg (33 lb) to monsters of well over 100 kg (220 lb). For birders, the bald eagles are very tolerant of people and are here year round. But in late summer things get more interesting because waterfowl and sea birds that nest up in the Arctic return for winter. A stroll along the boardwalk can bring you close to Harlequin ducks and several species of loons including the unusual yellow-billed loon. Other prospects include marbled Murrelets, three species of mergansers, two species of grebes, gangs of gulls, three species of scoters, and now and then a passing Peregrine Falcon. The citizens who share Cormorant Island's compact area have developed a philosophy of neighbourly harmony. This is exemplified by the Alert Bay Accord between the Village of Alert Bay and the 'Namgis First Nation. It was signed in 1999 and renewed in 2012, and is the first agreement of its kind between a Municipality and First Nations Band in Canada. It describes our common goals and pledges mutual support in civic and cultural matters affecting both jurisdictions. Read the Accord here. This mutually beneficial relationship has not always existed. For thousands of years Cormorant Island, or Yalis, was populated by a great nation of seagoing people who called themselves the Kwakwaka’wakw. One of their most influential sub-groups lived along the rich valley of the river on Vancouver Island that modern maps may identify as the Nimpkish. These were the ‘Namgis. Their principal village was built on terraces on the west side of the river mouth. It was here that a famous chief, Cheslakee, confronted and then befriended the captain of a tall-masted ship full of strange-looking men that anchored nearby in 1792. The ship was the Discovery and the captain’s name was Vancouver . His anchorage was in a sheltered cove on a nearby island. Around 1860, that island and its new European settlement would be named after the Navy ships HMS Alert and HMS Cormorant. It was fortunate that Vancouver had a knack for diplomacy. The ‘Namgis were a proud and powerful people, populous thanks to the riches of their river, forest and sea. In the period between first contact with European explorers and the beginning of European settlement, this coast was a profitable hunting ground for traders and exploiters. One good load of otter furs could make a ship owner rich for life. When the otter had been hunted almost to complete extinction, other resources were here for the taking --coal, gold, timber, whales, and fish in seemingly limitless abundance. In the 1870 the huge runs of salmon in the Nimpkish River drew the attentions of two entrepreneurs, S.A. Spencer and Wesley Huson. They decided that Cormorant Island, opposite the river mouth, was a good location to set up a salmon saltery. For a salmon saltery you need a supply of water. Spencer and Huson followed streams uphill to a boggy tract on the crown of the island. They dammed up the flow, probably as easily as felling huge trees across the rivulets. From the resulting pond they piped the water downhill to their packinghouse. There were also plenty of trees for building material. The high water levels behind the makeshift dams drowned many trees, leaving a forest of dead standing wood. Wildfires raged through, leaving only the skeletons of the biggest trees. The roots of the charred carcasses of spruce, hemlock and fir soon rotted out. Only the durable red cedars resisted decay. Their bleached trunks still stand, 130 years after they died, creating an eerie scene that became known as “Gator Gardens”. It was renamed in 1998 the Alert Bay Ecological Park. 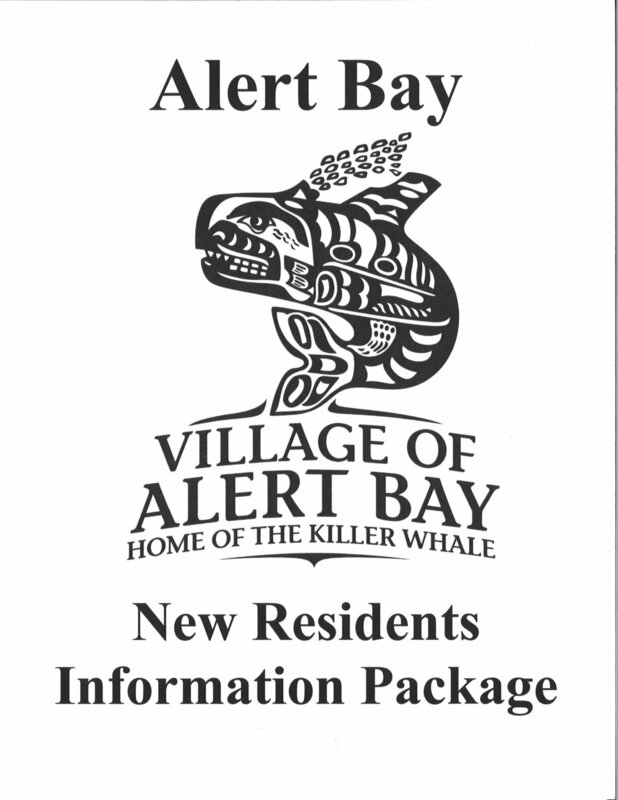 Alert Bay developed into the largest commercial fishing town on the central coastline. Spencer and Huson were joined by other fish processors and the harbour was crowded with gillnetters, long-liners and trollers. There were canneries here, as well as in many locations within a day’s sailing time of Alert Bay. First Nations families moved in, the women worked in the canneries, their husbands and sons fished. Click here to see a jpeg of the Coastal Fleet here in 1976 this photo is the Village of Alert Bay Harbour. The 'Namgis First Nation also had their own Harbour. In a now-familiar story, what seemed like an inexhaustible resource was drastically depleted. Clear-cut logging along every stream destroyed spawning beds and over-fishing hastened the loss of the remnants. The awesome runs that once came to the Nimpkish River were mere trickles. The biggest runs of sockeye that now pass through Alert Bay ’s waters are from the tributaries of the Fraser River . The few fish boats still around are mostly high-tech machines that use electronics to find their targets. Alert Bay has a small amount of people fishing these days, but we remember and learn from our past as we plan for the future.